Frequently inspect valves and governor controls on the compressor. Always disconnect the electric supply line to the motor before making any repair. Never use an air tank without a pressure gauge and safety valve. Safe working pressure should be maintained according to the American Society of Mechanical Engineers’ Code for Unfired Pressure Vehicles. Never use household hot water tanks as air tanks. They are not designed to meet boiler specifications. Every air tank should have a drain pipe and valve at the lower part of the tank. Accumulated oil and water should be removed frequently to prevent corrosion of the tank and to reduce the danger of explosion. Because corrosion weakens the tank, regularly inspect the inside. Soapy water or other non-toxic, non-flammable solutions should be used to clean compressor cylinders, piping and receivers; never clean with gasoline, kerosene or other flammable solvents. The above is an excerpt from the article, “What are air-powered tools?” For more information, please visit www.bwc.ohio.gov/. The use of portable tools involves many hazards, but air-operated tools present even more danger. Each type of air-power tool requires knowledge of specific operating instructions. Let’s look at the general hazards that can occur when using air as power. The air must be compressed, which involves hazards uncommon to any other power source. If properly designed and installed, the air compressor and air receiving tank should operate efficiently. However, proper maintenance is required to ensure continued safe operation. Lubricate the tool with a high-grade light machine oil. 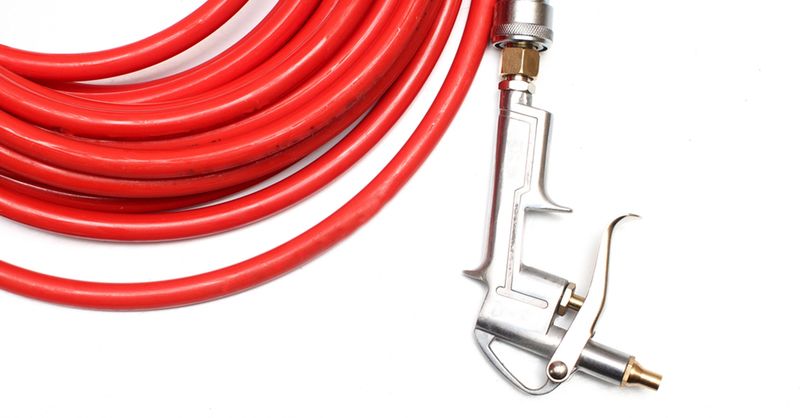 Place a few drops into the hose connection, unless an air line lubricator is being used. A few drops every hour are required if the tool is operated continuously. When changing tools, close the stop valve in the air-supply line. Never kink the hose to save steps or time. Avoid using flammable or toxic solvents to clean tools; • Seek and find the safe way to care for and work with air-power tools. Our aging U.S. highway system requires reconstruction, rehabilitation, and maintenance in order to provide users with a safe and efficient infrastructure. This means more work zones. A growing portion of this work is rehabilitating and reconstructing existing infrastructure, while these same roads continue to carry a high volume of traffic. In addition to the work zone related fatalities and injuries experienced on our highways, work zones on our freeways also account for nearly one-quarter of all non-recurring delay. These delays can happen at any time as a result of slowed or stopped traffic due to work zone activities, and it is important for drivers to pay attention when approaching and while driving through a work zone to minimize the potential for collisions. The above is an excerpt from the article, “15th Annual National Work Zone Awareness Week.” For more information, please visit www.ops.fhwa.dot.gov. Who is Responsible for Work Zone Safety and Mobility? We are all responsible for making work zones work better and safer! Project planners, designers, and construction/maintenance/utility workers have the responsibility to integrate safety, mobility and constructability when planning, designing, and implementing work zones. • Drivers, bikers, motorcyclists and pedestrians have the responsibility to always be alert, obey traffic laws and signs, and pay attention to their surroundings when approaching and traveling through a work zone. Properly securing pets in a vehicle prevents driver distraction and harm to the animal. • Passengers should always buckle up, act responsibly, and avoid distracting the driver. • Public safety agencies have the responsibility of responding to and securing crash locations and enforcing traffic laws. • Local communities, and state and local governments need to allocate funding for safe roads and increase public awareness about work zone safety. 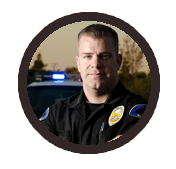 • Police and courts have the responsibility of enforcing traffic and work zone laws. By driving safely in work zones, motorists can help to make sure everyone gets home safely. Expect The Unexpected. Things may change overnight. Normal speed limits may be reduced, traffic lanes may be closed, narrowed, or shifted, and people may be working on or near the road. Don’t Speed. Obey the posted speed limit at all times, even when workers are not present. Don’t tailgate. Keep a safe distance between you and the car ahead of you and the construction workers and their equipment. Rear-end collisions account for 30% of work zone crashes. Obey Road Crew Flaggers and Pay Attention To The Signs. The flagger knows what is best for moving traffic safely in the work zone. 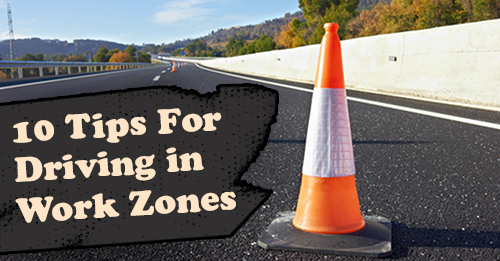 The warning signs are there to help you and other drivers move safely through the work zone. Stay Alert And Minimize Distractions. Dedicate your full attention to the roadway and avoid changing radio stations or using cell phones and other electronic devices while approaching and driving in a work zone. Keep Up With The Traffic Flow. Do not slow down to “gawk” at road work. Know Before You Go. 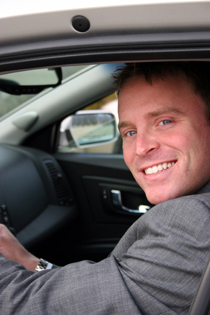 Check radio, TV and websites for traffic information and schedule enough time to drive safely. Expect delays and leave early so you can reach your destination on time. Be Patient and Stay Calm. Work zones aren’t there to personally inconvenience you. Remember, the work zone crew members are working to improve the road and make your future drive better. Remember – Dads, Moms, Sons, Daughters, Brothers, and Sisters Work HERE! Why An Appealing Headline Is Important! Even the most well-written article or blog post, or the best video, is worthless if it isn’t topped by an appealing headline. The headline is what piques the reader’s attention. The headline has become uber-important in today’s world of social media sites. For most people, the headline is all they see on a site like Twitter. And on other sites like Google+ and Facebook, it’s a key element of what they see. If the headline isn’t good, chances are the reader won’t bother to click over to read it or view it. In fact, Copyblogger says 75% of the readers who read the headline don’t bother reading the actual blog post. Headlines are also important for email marketing. Here again, the subject line (i.e., the “headline” for an email marketing message) has a lot to do with whether people will open the message. With a little effort and a lot of inspiration, you can improve your headlines and increase the number of people who want to read your articles and view your video or other content.